Tax refund calendar 2016: Can you expect a quick tax refund? With the commencement of tax season, numerous refund-starving taxpayers are all set to grab their share of the tax refund as early as possible. They often ask: ‘How fast can I get my tax refund?’ Even after you’ve filed your taxes, it’s quite hard to know how soon you can expect a tax refund. What can you expect from the IRS? The IRS claims to release 9 out of 10 refunds within 21 days of filing income tax return. Warning: Tax return that requires further review could take more time to release the refund. Advice: Firstly, file your tax refund electronically using the IRS e-file. This helps in eliminating certain errors that delay refunds. Secondly, receive your refund directly in your bank account with the help of direct deposit. This is the fastest way of getting a tax refund. Where would you e-file your refund? 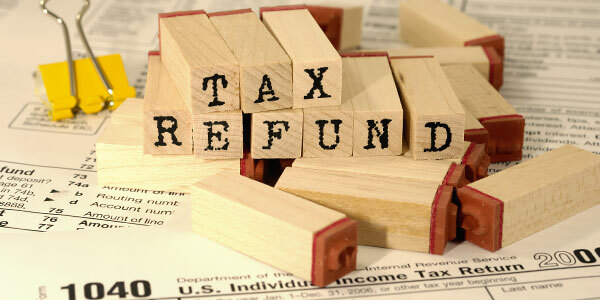 To file your refund electronically, go to Where’s My Refund? When can you check your refund? E-filers can check their refund information within 72 hours of filing income tax return with this online tool. On the other hand, paper filers have to wait for 4 weeks to check their refund information. Attention: The IRS doesn’t guarantee you the exact date when you would receive your refund. If you file your refund electronically, then it’ll take 10 days for the IRS to issue a refund. The IRS will need 4 weeks to receive and process your mailed return. You’ll take 10 days to get the refund checks through the mail. *Caution: These are not the exact dates that the IRS will follow. So, you can check with the Where’s My Refund? tool to confirm your personalized refund date. How can you get your refund fast? You can use e-file instead of paper-file to get a quick refund. How can you track your refund? With the help of Where’s My Refund? tool you can track your progress through 3 stages - (a) Return Received, (b) Return Approved, and (c) Return Sent. Why your tax refund gets delayed? Your refund will be issued within 16 weeks if you file an amended return. The IRS will take 11 to 14 weeks to process if you file a joint return with Form 8379 and about 8 weeks if you file separately and that too after the joint return has been processed. Your refund will get delayed if you file your claim with an application for an individual taxpayer identification number (ITIN) attached to it. How will you get your personalized refund information? Social Security Number (SSN) or Individual Taxpayer Identification Number (ITIN). Filing status, that is, single, married filing joint return, married filing separate return, head of household, or qualifying widow(er). The exact whole dollar amount that is displayed on your tax return. How will you check your refund if you don’t have the Internet? If you don’t have access to the Internet, you can still check your tax refund status by calling the IRS Refund Hotline at 800-829-1954 or the IRS TeleTax System at 800-829-4477. IRS’s first smartphone application IRS2Go help taxpayers to check their tax refund status. If you’re an Apple user, then you can get this app from the Apple App Store. For Android users, you can visit the Android Marketplace to get this app for free. If you have any question, then feel free to write to us.